Alan, Joe, Nick, and Sean team up for yet another road trip extravaganza. First we talk about Hurler 2.0, Mine Blower at FunSpot Kissimmee, developments on the old Wet 'n Wild property, and dive into the Super Nintendo World leaks and plans. Next up Nick talks about his first trip to Walt Disney World with his child and a review of Pandora: World of Avatar. Then we close up the show with Alan discussing his whirlwind European trip to Port Adventura, Ferrari Land, Tipidabo, Conny-land (with Mammut Tree and Dino Attack), Legoland Deutschland, and Tripsdrill (with the nuts bathtub flume ride). One of Canada's Maritime Provinces, New Brunswick is home to the second largest city in the region (Moncton) and has the distinction of being Canada's most bilingual province. Nowhere else in the country are you more likely to find yourself switching in midsentence between English and French than here. The province isn't tiny either, being about as large West Virginia. With only 750,000 residents, however, there's not a ton of demand for amusements. That doesn't mean that there haven't been attempts throughout history to bring rides to New Brunswick. In the early 1900s, Saint John was home to a selection of attractions at Parc Rockwood. Much, much later on, Crystal Palace Indoor Amusement park opened up, offering the region a place to escape all year round to go on rides. But by 2014, the limitations of the space the park was in had meant it was largely static in offerings, and it was announced to be closing. Its replacement? Good ol' Destination Retail with a Bass Pro Shops. The glass roof is still there to be gawked at, but the rides have up and went, mostly to small parks located elsewhere in the region. So, what else is left? Well, there's a family entertainment center near Magnetic Hill Zoo called "The Boardwalk". There's mini golf, bumper boats, and a butterfly house to walk around in and, you know, look at butterflies. The owners of Sandspit and Shining Waters in Prince Edward Island also happen to have a water park in operation called Magic Mountain full of modern equipment like funnel slides and big mat racers. And that's pretty close to everything with rides outside of carnivals. But I won't leave you hanging with such a short list. That's not cool of me to do. And so we head elsewhere, deeper into the state. Miramichi is two hours north of Moncton, and possesses a strange largely self built and well maintained mini golf facility called Maurie's. Video of the sometimes complex holes can be found on their website and on Youtube: the Archimedes Screw hole is probably my favorite, closely followed by the horn-sounding light house. Firefly Forest in the town of Hampton some 20 miles up river from Saint John also has a somewhat unique course with no themed obstacles, but much longer greens than average. For those interested in history, there's the Village Historique Acadien a further 90 minutes upstate from Miramachi. It's more or less an open-air museum with people in era costumes. This is where I get to mention that always fun and often overlooked fact: ever notice how close sounding "Acadian" and "Cajun"are? Yes, they're the same. Really. Dateline: Disneyland is fondly remembered today as being an unmitigated disaster. One of the most curious happenstances of the show is the fact that, knowing the Orwellian attitude of Disney’s corporate overlords today, the show is even mentioned at all. But it cannot escape the modern geek, with it being available on free media everywhere in all its (lack of) glory. One should not begrudge Disney for such a catastrophe, however. After all, it bears mentioning that live TV had barely been tried at all by this time. 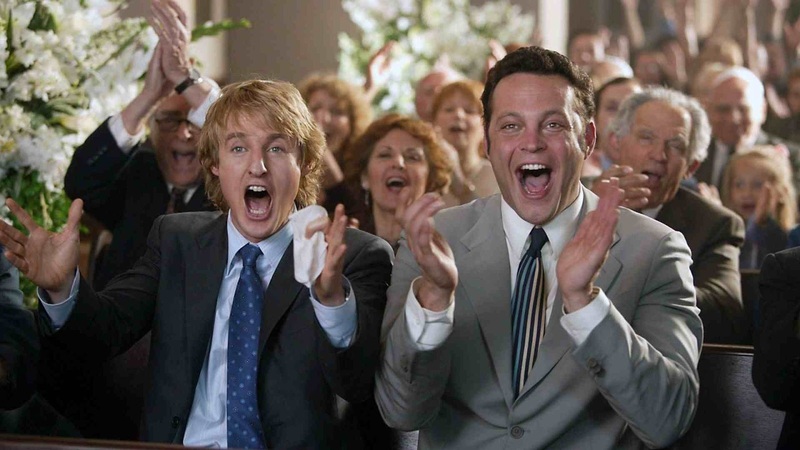 TV was such a brand-spanking new medium, the entire industry was still working out the limits of human organizational skills as it discovered the hard way that split-second timing was needed between the cameramen, sound team, and actors for the length of an entire show to pull off a seamless experience. Now, pretend instead of a small enclosed studio, your live broadcast is at a 100-acre public space as busy as Grand Central. As they say, hilarity ensues. 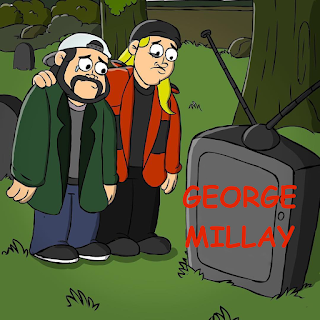 But, this is really to be expected, given the novelty of the television medium at the time. And one should at least give Walt his due: when he fails, he fails hard. No focus groups and surveys and “let’s run this by Legal first.” He puts his whole back into it. Like there’s a Walt Disney-sized hole in the wall. And those are the most spectacular of devastations. It’s no surprise that Walt would eventually run into cultural pothole. Indeed, we forget that Walt had recently taken quite a few high-stakes gambles and won. There was the return of the full-length animated movie (Cinderella, which remember are pretty expensive to make), the creation of his own live action movie studio, starting a series of nature documentaries just for the heck of it with his studio in debt, deciding it would be a great idea to jump headlong into a completely unproven medium (television) that the other movie studios were avoiding like the plague, the continued cost overruns on Sleeping Beauty (the most expensive animated film ever made up to that point), and the re-filming of Lady and the Tramp and 20,000 Leagues Under the Sea at enormous expense when 99 out of 100 people would say he didn’t have to. So yeah, I’d say he was due. Having set up the park for 11 straight months in his Disneyland TV show, all Walt had to do was show the world it was actually open. And for Walt Disney, lover of nonsensical parades (we’ll get to that) and movie premieres (see: the Snow White premiere), he would not be satisfied until Barnum and Bailey and their sister Sue knelt down and begged for mercy. This thing is an incredible tour de force that looks at once like the Olympics opening ceremony, Woodstock, a Tokyo subway station, and the Tailgate Lot outside a Packers game. Here are a list of things that went wrong that day (note: outside the broadcast) inside the park, in no particular order: the plumbers went on strike, causing Walt to skimp on drinking fountains (leading to his infamous “people can’t pee in the street” barb); it was over 100 degrees; the concrete was newly poured, causing women to get their high-heels stuck on Main Street; counterfeiters swarmed the park wielding fake invitations; enterprising entrepreneurs hitched ladders up to the berm and charged $10 for people to hop the fence; there was a gas leak in Fantasyland; the Mark Twain was so full it began to sink; James Mason got into a fistfight trying to get his daughter on the carousel; Sammy Davis Jr. rammed Frank Sinatra on the Autopia; and the effects on themed rides from Mr. Toad to Jungle Cruise decided to stop working halfway through the day for no particular reason. But Walt put his best foot forward. Each land would have some sort of celebrity involvement (except Adventureland, screw those guys): Davy Crockett and Annie Oakley in Frontierland, a bunch of (famous?) scientists in Tomorrowland, Disney characters in Fantasyland, and of course Art, Bob, Ronnie, Walt, and the governor of California to host. Each land would be given a thorough examination by the TV cameras, beamed directly into every American family’s living room. And look, there’s Danny Thomas in the parade! And Frank Sinatra driving in the Autopia! Why, there are celebrities everywhere. Ah Dateline Disneyland, this is a mess as I remember. Walt talks, there are parades, guests, collisions on the Autopia, and other general insanity. I have not seeing Dateline Disneyland in years, so I’m jumping into this a little blind. It’s 7:30pm on a Friday, I got paid, got a raise, have a Mai Tai, and some chips & salsa. LETS DO THIS! Alan is joined by Jerry Brick, General Manager of Lake Compounce to talk the history of the park, Wildcat's 90th anniversary and refurbishment, Boulderdash, historical rides, their partnership with the Haunted Graveyard haunt event, their newest coaster Phobia, Milli Vanilli, and more! We begin our anthology of Parkscope YouTube Tuesday with the special that started the Disneyland anthology: Walt Disney’s presentation of “The Disneyland Story.” This pilot episode of the Disneyland TV series literally was the one that started it all. 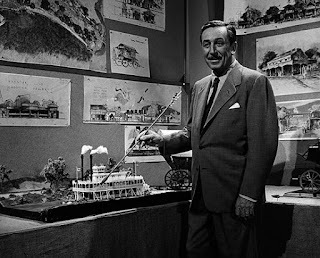 Without the success of the TV show, who knows if Walt would have been able to build so many of the dreams of Disneyland. 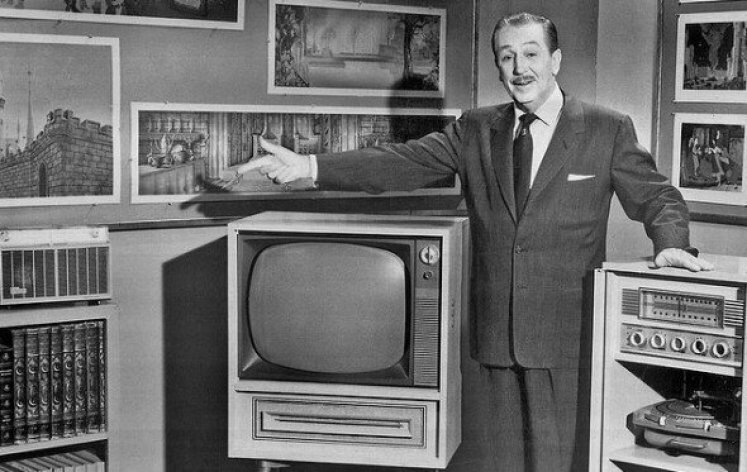 This TV special was Walt’s big reveal of Disneyland to the general public. Before this show aired in 1954, nobody knew what Disneyland was (and for the most part, as we’ll get into later, after the show was over they still didn’t know). But it was Walt’s marketing brilliance that allowed the general public to embrace him, Disneyland, television, Mickey Mouse, Peter Pan, Alice, 20k, Sleeping Beauty, the Tru-Life Adventures, and Davy Crockett all in one show. Walt’s marketing brilliance came strictly from the spot-on execution of his plans, as if he were the Mozart of family entertainment. To wit: the Disneyland TV debuted a whole 11 months before its namesake park’s opening day. Let that sink in for a minute. 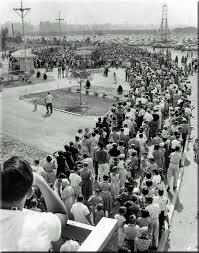 The public was pounded with the message of Disneyland almost a full year before anyone would be able to see it! The fact that Walt held everyone’s attention for so long , like an expert ringmaster tantalizing the audience for the grand finale, is a testament to his underrated and sublime showmanship. “The Disneyland Story” is at once a TV special and a series pilot episode. It was a TV special in that it was hyped as an event in itself. Though Disney had contracted with ABC for several episodes (which turned out to be much, much, much, much more), “The Disneyland Story” is an introduction of sorts, a thesis statement to what Disney’s TV presence was going to be. Walt made it very clear that TV was, as he put it, “my way of going directly to the public.” And as he did, the public would be privy to every shot in the Disney arsenal. Walt would advertise everything from his earliest successes with Mickey Mouse to his upcoming animated movies, covering within the show’s short span of time a chronology ranging from 1927 to the future of 1959. In essence, it was Walt’s first controlled introduction to the world. Let’s walk through the video, as Walt would if he were here watching with us. ...and look who made it back with you! Disneyland begins with as simple a thesis as can be: “Each week as you enter this timeless land, each of these areas will open to you…” How coyly Walt integrated his patented storybook opening into television format! Make no mistake, that is exactly what we’re witnessing. 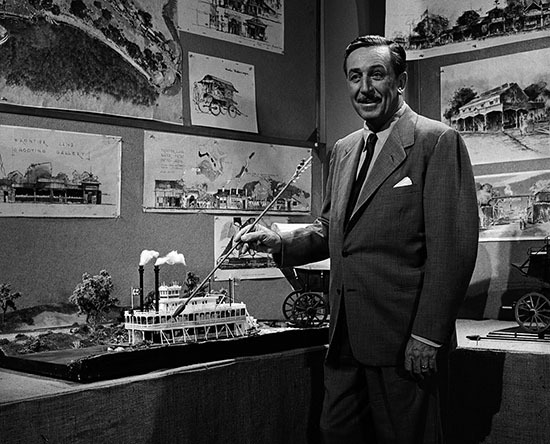 Walt very cleverly devised his Disney anthology around the lands of Disneyland. 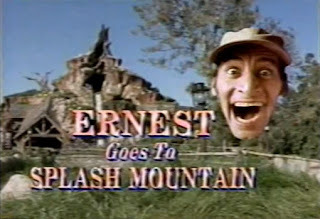 Coincidentally, Disneyland’s lands just happened to be connected with Disney’s biggest themed projects at the time. One wonders if Holidayland and Lilliputian Land bit the dust for just this reason; since money was so tight during construction, perhaps Walt triaged the situation and jettisoned the lands that did not tie thematically into major Disney projects that American audiences would recognize? It would certainly make sense from a business perspective, though I’m sure that wasn’t the only reason. But the Big Four Disney Lands, Walt is careful to point out later, all can be tied to major Disney projects: Tru-Life Adventures for Adventureland, Davy Crockett and Paul Bunyan (and Pecos Bill, etc.) for Frontierland, Peter Pan and Alice and Dumbo and Snow White for Fantasyland, and Walt’s upcoming space documentaries for Tomorrowland. The man certainly knew how to sell a franchise! As you watch the special unfold, you’ll realize that not only does the audience not know what a Disneyland is, from the looks of things even Walt barely knew! Of course he had it all bouncing around in his head, but think about how little of the park he actually shows! Besides the Peter Ellenshaw-lit wall map and a Main Street scale model, all we the audience are privy to by way of attractions are an African Queen-style tugboat for Adventureland, a steamboat for Frontierland, a castle for Fantasyland, and a hanging monorail and spaceship for Tomorrowland. That’s it! That’s literally all we see. In fact, we don’t even see any concepts for Fantasyland whatsoever! Just a nice few dozen shots of the front of the castle. And yet, had it not been pointed out, I’m sure we would have barely noticed. Walt is genuinely excited about the place, and sells it beautifully, despite the lack of many specific details. But boy, we sure want to drive to California to see the place! One other small thing to note: in the introduction, Frontierland is mentioned first. This could be for several reasons, and since the wall map over Walt’s shoulder suggests the Jungle Cruise is still looking to be in the southwest zone we see today, it wasn’t for a clockwise tour around the park. Most likely the intro of Frontierland first was a combination of the booming popularity of Westerns at the time, as well as Walt’s own desire to get into the television western scene by introducing Davy Crockett as the first recurring character on the Disneyland show. I also love that the narrator refers to Fantasyland as being “the happiest (land) of them all.” Brings back memories of “The Happiest Place on Earth” and “The Happiest Cruise That Ever Sailed,” doesn’t it? Boy, those were the days, huh? The narrator (note we haven’t even been introduced to Walt yet!) dives right into the “goings on” at the studio, which coincidentally happen to fill the audience in on the biggest “coming attractions” Disney would be releasing soon. We visit the set of Disney’s biggest live action movie of the decade, 20,000 Leagues Under the Sea. And look at how succinct yet complete the introductions are: we see two famous actors (Douglas and Lorre), the comedy sidekick (Esmerelda the Seal) and the big special effects extravaganza (James Mason vs. The Squid) all within a few seconds. That’s all we need to know about the movie to make us want to run to see it now! And we follow it up with Disney’s big blowout animated movie of the 1950s: Sleeping Beauty. We here the lovely Aurora singing her signature song (random aside: the version sung in the show is the exact same way it sounds when the movie was released four years later! Was the soundtrack really dubbed that early?). We also get a glimpse of Marc Davis and Milt Kahl modeling a dancing Aurora. Disney nerdgeek heaven! As Walt is never one to let five minutes go without a silly joke of some kind, we’re next taken to the “Music Department” where the Firehouse Five Plus Two somehow stepped into a crossover universe with Jimmy Macdonald and the sound effects team to play the weirdest assortment of junk instruments. Oh fine, let’s all have fun at the musicians’ expense. I’m sure the trombone player is being paid enough for it. We’re finally introduced to Walt a full 3 ½ minutes into the show (again, the master storyteller can really turn up the suspense). What follows is pure Disney and theme park geek bliss. Supported by a great script from master writer Bill Walsh (who wrote the scripts for many of Walt Disney hosted segments, as well as the shooting script for Mary Poppins and many other classic Disney movies), Walt gives one of his all-time best hosted segments, despite the fact he looks terrified to be in front of the camera. But, as we know, that was all part of his Midwest charm. And boy, does it work. 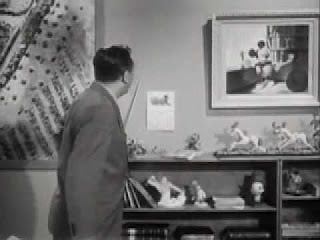 Note how John Hench’s legendary portrait of Mickey is shot first, before Walt makes his appearance. Walt had the shot in mind the whole time: Mickey is the star, and the main connection between Walt Disney and his audience. And, since Walt would later utter his famous line that “it was all started by a mouse,” there is no question that Mickey would appear first. And there’s Walt, with his signature lean. The “I’m not used to speaking in public and have no idea what to do with my hands” lean. But by golly, he still pulls it off, because he’s so damn sure of what he’s saying he would have to stand on his head for anyone to notice his posture. He notes (again, before the park is introduced) that he and Mickey have “an old partnership.” And then, he says, “we (note the “we,” meaning he and Mickey and the entire Disney Company) would like to share with you our latest and greatest dream.” What a setup! 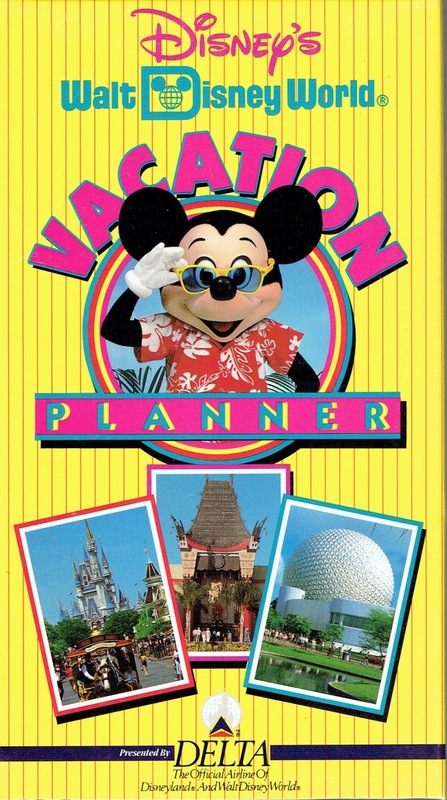 He then shows the famous wall map and notes to the audience that “Disneyland the place and Disneyland the TV show is one and the same,” answering the potential “when is the three o’clock parade” question in the audience’s mind. Next, he proudly announces that Disney has a whole 230 acres to play with, and shows the world exactly where Anaheim is on the SoCal map. Presumably, so people can buy up the surrounding real estate and make a fortune on tiki motels and pirate buffets. One of my favorite moments is when Walt spells out what he wants Disneyland to be, which at this point is still in a state of flux: Disneyland would be “Unlike anything else on earth…a fair, an amusement park, an exhibition, a city from the Arabian Nights, a metropolis of the future…a place of hopes and dreams, facts and fancy, all in one.” You’d have to say it was beautifully phrased, ladies and gentlemen. Yet this was not quite the final vision. After all, the city from the Arabian Nights would turn into a city from French Polynesia and the metropolis of the future would be the plastic rocket and balloon stand of the future until 1959. Though, the phrase certainly filled its purpose. For one, Walt of course wanted to get his audience excited for the exotic places Disneyland would take them to, places where until then they could only see in the movies. I think he also stated Disneyland in this way to pull the audience off the scent that Disneyland was an amusement park. To be fair, it was really a combination of an amusement park and an historical exhibition, combining standard amusement park staples like carousels and dark rides with pack mule trips and the like. But remember, at this time the amusement park had become a bad word in the American zeitgeist. So Walt wanted to pre-empt any thoughts of the amusement park his audience might get once they finally see Dumbo and the Tea Cups by tantalizing them with visions of exotic and exciting locales. 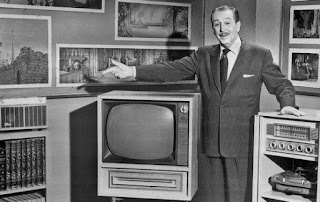 Another example of his genius: note how Walt points out that the TV show WOULD BE BROADCASTING FROM DISNEYLAND upon its opening “in 10 months’ time.” And then, he says, he would like to show you “how we’re getting ready.” Holy cow, what a setup! TEN WHOLE MONTHS of waiting and anticipation. A promise of what would surely be one of the biggest broadcasts of television history up to that time! And now here’s a glimpse of what we’ll see! Modern producers literally couldn’t do it any better. Thus begins the tour of Disneyland that isn’t. Of course, still completely on course, Walt leads with the land that has the most substance in its Disneyland park presentation: Main Street. It’s the only land where we get to see a scale model. And because of this scale model, boy, color our appetites whetted. Walt’s description of Main Street is succinct yet complete. As we saunter through the Main Street proper, Walt points out the train station and the plaza (complete with a band concert park, no less) before telling us that “straight ahead lies the heartline of America,” and that Main Street is “Hometown USA” just after the turn of the century, when electricity was replacing the gas lamp. It will have the “color of the frontier days, combined with the excitement of the upcoming 20th century.” He ends the camera tour by saying it is “the most important spot in the nation.” Do you think he’s fond of his Marceline hometown or what? 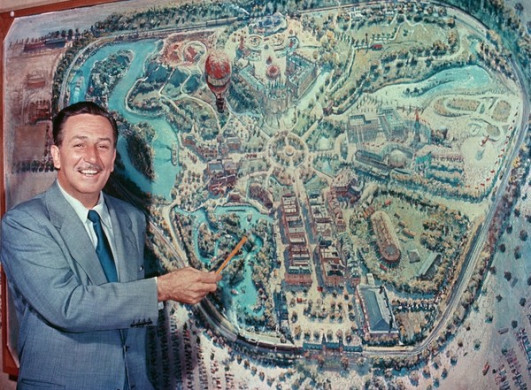 Walt loved Main Street down to the core. And that leads to the set up of the most famous shot of the show, at 5:30 where we look right at Walt above the castle from a train station view. The pitch for the shot is literally perfect. Walt explains that the Hub is “the heart of Disneyland,” and like “the four cardinal points on the compass, Disneyland has four cardinal realms…four different worlds where our TV show will originate.” Again, Walt has an uncanny ability of teaching us these concepts in the simplest language so that everyone can remember, and not only remember but become excited for them! This segway gives Walt a chance to explore the shows that will be upcoming based on the four cardinal lands of Disneyland. Each segment is cleverly introduced with an artist rendering of the land it represents, to give an audience a feel into the theme of the area. Frontierland is first (starting at 6:15), where Walt will be introducing tales of frontier folklore (Paul Bunyan, Davy Crockett). 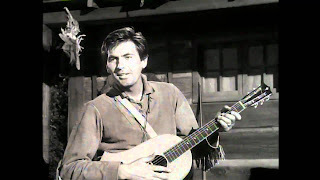 He sets up his Davy Crockett series by retelling the Davy Crockett folk story, and then having Fess Parker sing George Bruns’s legendary ballad for the very first time. As everyone knows, Davy Crockett turned into the first smash hit for Disney on television (to be followed by Zorro and others). Synergy never sleeps at Disney. The Adventureland segment is by far the strangest (starting at 9:30). Ostensibly an introduction to the Tru-Life Adventures, the audience is subjected to scenes around the world of “interesting people,” which somehow includes both native dancing in Africa and bull-riding in Spain. Sure. And of course let’s not forget the futility of the cameraman to film the penguins, who were too interested in him to actually do anything entertaining (so of course they go with the obvious solution and throw a mirror into the middle of everything to “distract” them, which just led to them wandering up to the mirror and wondering what the hell it was). 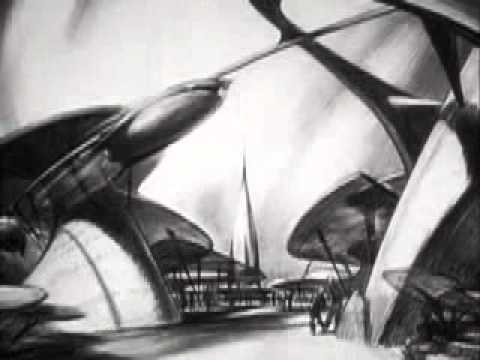 16:00 starts the Tomorrowland segment, where Ward Kimball makes his debut to talk about the upcoming series of space-related documentaries that would be shown on Disneyland. Tomorrowland, is about “understanding what lies before us,” which is hilarious to us because this is 1955 we’re talking about. However, once we regain our perspective, think about how scarily accurate some of Disney’s future predictions are when you realize people did not make it to space until 1961. And not only that, but Ward and his team provide descriptions of atomic-powered space stations and trips to Mars. No seriously, they talk about Mars like it’s going to be a walk in the park after we get to the moon. And we have an appearance by the Ward Kimball Common Man! Always a treat. The Fantasyland segment starts at 20:00 and it’s practically nothing unless you really like Song of the South. There’s no view of Fantasyland besides the castle, and Walt just shows us a glimpse of a few animated movies before strangely diving into the Laughing Place scene from Song of the South. Talk about random. And I think Parkscope is now on some FBI watch list for playing a segment from Song of the South. 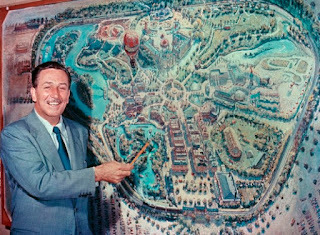 Though, Walt does make a lovely portrayal of Fantasyland when he says it’s a place where “hopes and dreams are all that matter.” We love you, Walt. Thus begins the meatiest part of the show, which is the Mickey Mouse segment. And by golly, Walt will not go away before you know Mickey’s entire life history. We learn about his, shall we say, “rambunctious” years of the late 20s (when he had quite the teenage hellion streak about him), his time with Pluto, his teaming up with Donald and Goofy in Lonesome Ghosts, and his solo piece de resistance effort in Fantasia. Of note, this was before the Mickey Mouse Club debuted, which means that Mickey was not doing well in popularity. In fact, at the time Donald was far more popular than Mickey. Walt used this segment to remind audiences how great Mickey was, and was an opening salvo for the full-throated attack that would come later starring Annette and the Big Mooseketeer. Walt would never give up on the ol’ Mouse, that’s for sure. We end the show with a glimpse into the next Disneyland episode, where Walt featured the TV debut of Alice in Wonderland. One can assume Walt chose this particular movie because of all the animated movies released during the 1950s, Alice was the least popular. I’m sure Walt felt this was a way to try to re-ignite Alice in the minds of the American audience. As we end the show, “When You Wish Upon a Star” plays through the end credits, forever connecting the Disney castle park with that timeless Disney anthem. Amazing how so many of these tropes were set up from day one. And so ends a milestone event in both television and theme park history. The most significant point I got from re-watching this classic is the fact that Walt Disney is such a bloody good storyteller and salesman. The man literally is selling a flea circus at this point in Disneyland’s conception, and yet here he is trotting out phrases like “The Heartline of America” and “a place of hopes and dreams.” He connects all of Disney’s history so well in just one episode of television, providing a thesis statement for the entire country as to who Walt Disney is and what he stands for. I honestly can’t think of a better introduction to Walt’s brilliance. It would be a lie to say the Disney company has always been profitable, stable, and independent. Constantly over the years various projects have been sold to others, outside work contracted, sponsorships signed, and internal projects promoted. It wasn't till the Eisner/Wells duo in the 80s and 90s that made the Walt Disney Company a powerful standalone entity. The Disneyland Story pulls double duty as not only a theme park promotion item (for a park opening over a year away) but as a sort of media perpetual motion machine. New TV shows and specials would be developed under the Disneyland brand, and as such, would end up in the theme park. The theme park would then inspire developments on the TV show. And to boot it was all sponsored and funded by someone else's money. Brilliant! While The Disneyland Special features specials guests and what TV shows you can expect, the park is hardly covered. While discussing Adventureland (nee True Life Adventure Land) such things as the Jungle Cruise is still a nebulous concept. And it's not just that, Frontierland doesn't mention mule rides, Fantasyland doesn't talk about flying elephants or tea cups, and Tomorrowland was barely finished by the time the park opened! The only land that seems to get any attention was Main Street USA (Hometown USA) with a sweeping shot of the model somewhere in Glendale. This is probably because Walt didn't have any movies or plans for shows based around the turn of the century. Thanks for reading and watching with us. Tube in next week for Parkscope YouTube Tuesday #2! Last week concept art and computer renderings for the original pitch for Super Nintendo World leaked. Now the flood gates opened with more art, renderings, and inside information leaking. We'll be breaking down what the leaks are showing, what has changed, and what is remaining the same. This is the general layout and original entrance to Super Nintendo World. In this version guests would enter through Peach's castle (located roughly where Animal Actors is now) into a large indoor area. The indoor area would feature a Nintendo World Store, a Pokemon area (not elaborated on), Luigi's Pizza (don't think too hard about what they'd do with the other Luigi's Pizza), a small tea cups like ride with Koopas, and a Bullet Bill TTA-like ride. Going clockwise around the land is a Kirby young kids area with one ride and a kids wet/dry play area. We believe this Kirby area has been cut, which is a shame as it would have been a fantastic memorial to the late CEO of Nintendo Satoru Iwata (he worked extensively on the series). Next up is Donkey Kong Island which takes inspiration and setting from the Donkey Kong Country series. The first attraction is a large kids play area tree fort similar to the one Donkey Kong has at the beginning of each game. 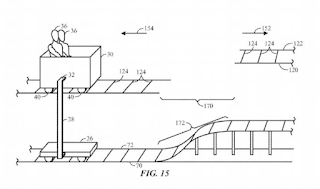 The second attraction is an outdoor coaster using the boom coaster patent. This coaster will be a new attraction and not a retheme of the Woody Nuthouse coaster. At this point we the coaster is remaining in the final plans but have not heard if the kids play structure remains. Mario Kart. Practical. Real. Insane. The concept has evolved since the initial proposal above but the ride will retain the same scope and scale as the concept art. There's a debate about the use of projections and "AR" glasses in the ride to replicate the battle items during racing. Our understanding is some sort of AR will be used to show the shells, bananas, and other items on the track but how that is implemented might still be in development. Also in the concept art is a Bowser's Airship ride and Luigi's Mansion interactive play area. These concepts seem to be sacrificial lambs for Mario Kart; when the budget restraints hit these will be the first attractions removed so the Mario Kart ride doesn't get touched. We have not heard of these attractions coming to the final version of the land. Next up is Hyrule/The Legend of Zelda, an area we believe that has been cut from the final plans. In prior released (above) images you can see a preshow with Princess Zelda and the implementation of the 'puzzle moving theater' patent. Other famous areas from the series like the Great Deku Tree and Kokiri Village show up in the land along with an "interactive area". What is not leaked, but expected to be coming to the land, is the Yoshi dark ride. The Yoshi dark ride will be an all ages ride aboard Yoshi ride vehicles. With the refocus on Mario and Donkey Kong only for Phase 1 the Zelda area, smaller attractions, and Kirby area have been jettisoned to future expansions in other parks. We have heard that sections of KidZone will start phased closing for demolition and construction starting after Halloween Horror Nights 27. Hopefully an official announcement will come soon afterwards. 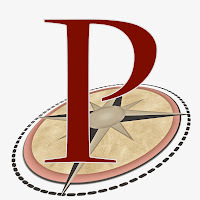 And now, Parkscope is very proud to present…the most exciting announcement since the creation of the Parkscope Blog! No, we’re not announcing the next Marvel movie. Sit down in the back of the class. 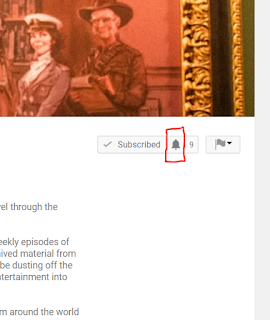 Joe and I have been talking about re-igniting Our YouTube Channel for some time now, and now that we’ve got it back up and running, we will be very pleased to be hosting a regular feature. Every Tuesday evening, we will be posting a new video to the Parkscope Blog YouTube Channel. We’re huge fans of theme parks and old Disney stuff, so we are going to scour the archives for classic material we know theme park nuts will love. And we’re not just talking about the classic stuff, either. Joe and I will be firing up the old VCR (and the new VHS conversion software), the DVD player, the Laserdisc…whatever player…and bring to you folks all the ridiculous theme park nonsense that’s fit to print. And let me tell you, in the last few decades we’ve gathered quite a collection, and we’re very excited to be sharing it with all of you! No, Seriously. All the classics. We hope you take the time to watch the videos with us and laugh along, and we hope you’ll enjoy them as much as we do. And I’m not kidding folks, we’re going on real nostalgic overdrive for a long, long time. Hold on to your hats and glasses, this is Parkscope YouTube Tuesday. 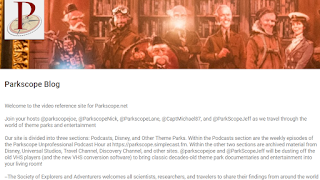 Parkscope Unprofessional Podcast Hour #126 - Spring Trip Report Blow Out! Alan, Jeff, and Joe talk about the mess of an opening of Volcano Bay, the inevitability of Pandora doing "well", Flight of Passage ride system issues, Nintendo announcements (no, not the leaked plans), Mean Streak 2.0 teaser, and Kennywood's 2018 plans. Finally they all talk about their trips over the past month to Cedar Point, Lake Compounce, Hersheypark, Holiday World, Kennywood, Carrowinds, and more! This is an official announcement of the Parkscope Broadcasting System. In the case of an actual emergency there will be lots of high-pitched noises buzzing to the tune of “Let’s Go **So and So**” that you hear every five seconds at a basketball game. Parkscope is now on YouTube! Huzzah! I know that’s what you all wanted to kick off the summer. We’re going to be posting our Unprofessional Podcast Hour to YouTube. 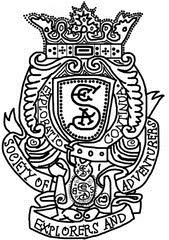 Check out our page here all you’ll see we’ve snazzed it up with every Unprofessional Podcast within the last year. From now on, every podcast will also be posted to YouTube. 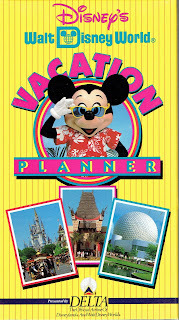 We also have a couple more playlists, “Disney” and “Other Theme Parks” with some other cool (but mostly random) content. …And you’ll get an alert every time we download a new podcast! So no more guessing when Joe will find a new brewery or when Lane can find an underground bunker with wi-fi at SunTrust Park. You’ll immediately get alerted once a new Parkscope Unprofessional Podcast is available! We’ll also be providing LOTS more content on our channel throughout the year, more than you can ever want (and that’s a guarantee!) A detailed announcement will be forthcoming later this week. I've been a Nintendo fan for over 20 years now. I'm looking out from my living room couch at my Nintendo Switch, N64, Wii, and Wii U. In my bedroom is a 3DS XL and I've previously owned a GameBoy Color, GameBoy Advance, Nintendo DS, and DS Lite. In college I nearly lost a semester to perfecting my Mario Kart Double Dash game (Birdo & Yoshi FTW) and I waited all day for a Wii at a Walmart in Dayton, Ohio. I'm only slightly bragging but mostly enthusiastic for Super Nintendo World news. I've known about mall tours and a one off stint in the 80s at The Disney Village Marketplace, but Nintendo has never had a theme park presence like this. I can and probably will get into a longer discussion on podcasts, twitter, forums, and here about how this is the next Harry Potter for theme parks; a property loved and celebrated that has seen little theme park coverage that will expand the customer base of the parks and attract existing theme park fans. Instead today lets cover some of the known knowns and some intel we've received. First, Osaka. 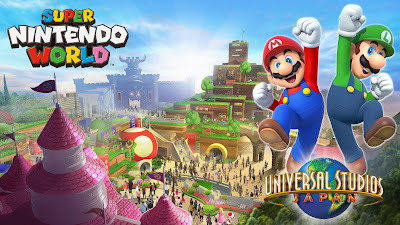 Universal Studios Japan will open the first Super Nintendo World in early 2020 prior to the Summer Olympics. The project will cost 60 billion yen, or roughly $545 million USD; for comparison all of Hogsmeade in IoA, Diagon Alley, and Hogwarts Express cost roughly that amount. The one confirmed attraction, Mario Kart, will use state of the art technology to recreate racing through the courses found in the game. But unlike the game you will not be seeing this on a screen. To summarize a design motto of the whole project: "If guests wanted to see these worlds on a screen they would be playing it on one of our consoles." This is Nintendo video game worlds come to life, not "ride the movies". The second attraction in Japan is expected to be a high tech dark ride using innovative "omnimover" ride vehicles themed to the Yoshi games. So what about stateside? Hollywood will be getting a Super Nintendo World, but details on our end are sparse. We expect a copy of the Osaka land to open in Hollywood with an opening date dependent on when the Summer Olympics happen in that city. With Comcast's cash and ambition I do not expect a six year turn around between Osaka and Hollywood for Nintendo like that happened with Hogsmeade. But where will the land be located? Again we're not sure, but with Universal expanding the Starway it could be expected to open up on the lower lot replacing many Sound Stages currently being removed. Orlando is where things get interesting. Projects have settled into place and Super Nintendo World is looking to open in 2021 at Universal Studios Florida. Mario will be evicting Barney, Curious George, Animal Actors, and possibly the existing parade building to build an expanded Super Nintendo World. 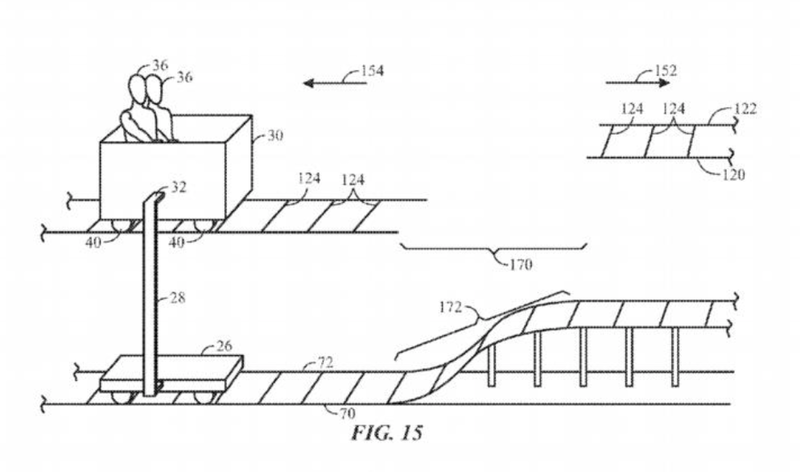 Orlando will offer the Mario Kart and Yoshi rides in addition to the much rumored Donkey Kong coaster concept rumored and previewed in patent filings. Similar to the mine kart segments in the Donkey Kong Country games, guests will race through the jungle and make impossible jumps (see below) as they try to get Donkey Kong's bananas back from King K Rool (we can only imagine that'll be the story). Universal is pushing the interactive elements of the Wizarding World even farther in Super Nintendo World by incorporating Nintendo's own products into the land. Shigeru Miyamoto has stated Nintendo Switch functionality will be incorporated into the lands. We're not sure how so it will interact with the land, such as exclusive games or character skins. Frankly, I think it's a bad idea to design a permanent land around a $300 piece of technology that has lifespan of five years before a new $300 object, with different inputs and requirements, is released. Remember the Apple Lightning Cable was only introduced five years ago. Even without a Nintendo Switch the land will be full of piranha plan AAs, moving coins, and "Start A" buttons to press. Food and beverage is now a staple at any amusement park with Pandora's wine and even Cedar Point's beers by BrewKettle. 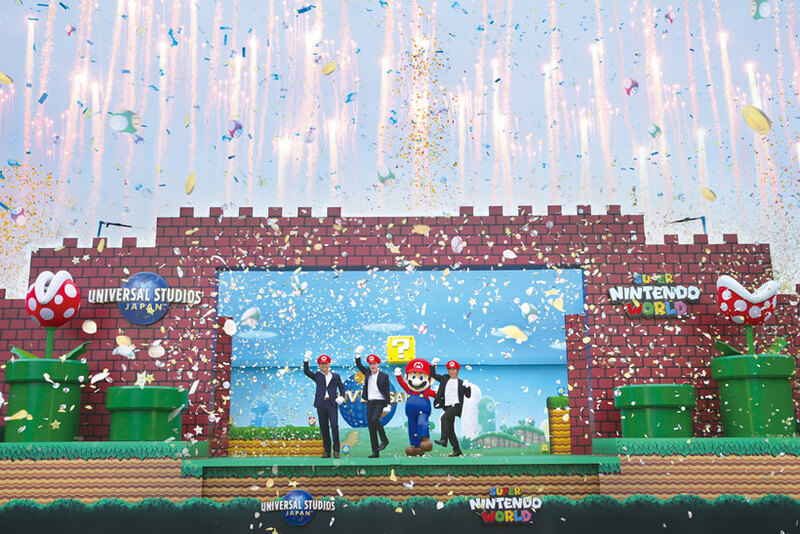 Nintendo will be no different and may even step the game up as the food offerings at Universal Studios Japan and around the country are more intricately themed than in the USA. It's interesting to see if Japan's kawaii designs will make its way to the states in a spurt of "authenticity" or if local chefs might reimagine the offerings. Mario is not the only popular and influential world created by Nintendo but it will be the first represented at Universal Studios. 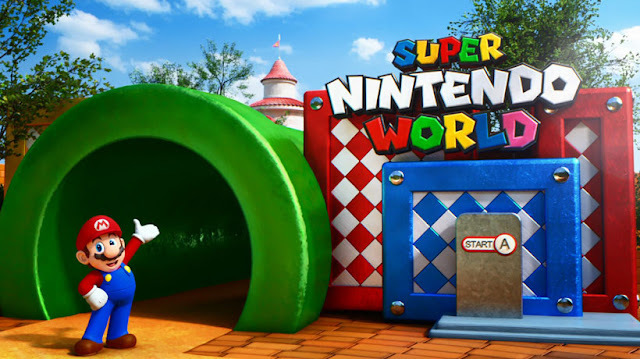 Similar to how the first Harry Potter expansion was initially called "The Wizarding World of Harry Potter" before the branches for Hogsmeade and Diagon Alley were created, the Super Nintendo World moniker can work till a "Super Nintendo World - Mushroom Kingdom", "Super Nintendo World - Hyrule", and "Super Nintendo World- Pokemon" open. This fall I'm excited to visit Pandora, in 2019 I'm very excited to see what Disney cooks up for Star Wars, but nothing touches my excitement for Nintendo. Please stay with Parkscope and our podcast over the next few years as we approach the opening to Super Nintendo World. 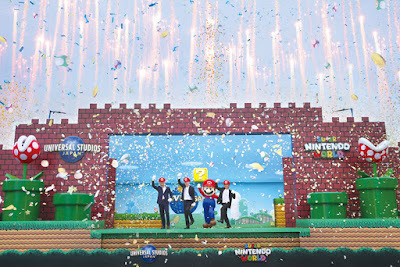 Universal and Nintendo held an official ground breaking ceremony early June 8th, 2017 in Osaka, Japan. The land is opening in early 2020, in time for the 2020 Summer Olympics. Orlando's version is expected to open in either late 2020 or early 2021. CONFIRMED-Mario Kart attraction coming to @USJ_Official. Will be the "centerpiece" of Super Nintendo World & have "worlds most advance tech"
This post will be updated with more information as we receive it. It's a family affair this week as Alan is joined by his cousin Tom Dion to talk about UFC vs boxing, gambling advice, and Tom's years as GM and auditor of various water parks around the country. They talk about how Tom got into the industry, riding slides as "testing", awkwardly auditing water parks for safety, applying for jobs in Tanzania, how a park handles a catastrophic event, and life advice for anyone looking to get into the industry. The 16th largest and 37th most populous state, Nebraska is another place generally associated with agriculture and little else. Those who have traveled across its vast interior are probably trying to get somewhere that isn't Nebraska, and the reputation of being void of substance has carried almost anywhere I've ever gone. It wasn't always that way: In the early 1900s, the Henry and Robert Jenner created a zoo and amusement park in the small town of Loup City and filled with things they had acquired from travel abroad. There was an egyptian themed building filled with mummies, samurai armor, and of course live animals. Valva Park, now known as Tuxedo Park in Grand Island, offered mechanical rides and vaudeville performances to entertain crowds from all around. Harry King built a substantial full size wood coaster at King's Park in Norfolk which operated during the 20s and 30s, but didn't make it to see the post-war era. The most famous park to have ever existed in Nebraska is Peony Park of Omaha. It had opened for business in 1919, and while it never had any huge wood coasters or dark rides, it's location in the biggest metro area of the state made it the most recognizable attraction. The park slowly fell victim to poor capital expenditure choices and maintenance issues, as well as the most insidious killer of urban parks: post-segregation racial sentiments. It wound up closing in 1994 as the family members it had been left to pulled the plug on further spending and attention, leaving the state with, at that point, no real amusement park. Now taking the void it left, Fun Plex isn't much more than a glorified family entertainment center, but it probably has a similar number of attractions to Peony. The coaster here, named "Big Ohhhh!" also happens to be a similar ride to Peony's largest coaster, but is actually a bigger model identical to the rides formerly present at Daytona's Boardwalk Amusements and still at El Paso's Western Playland. North Platte is where one can visit Cody Go Karts, a small fun park with a smattering of small rides, and that pretty much concludes the Nebraska "amusement parks". And yet, like Kansas to the south, Nebraska has a surprising number of permanent rides at fairgrounds, as well as other unexpectedly big attractions. Nebraska as a whole is surprising when more broadly viewed: the western tail of the state is pockmarked with small glacial lakes and rolling hills. There's mountains and cliffs on that far edge, while there's the mighty Missouri River running along the east border. There's variety here, you just have to drive awhile to find it. Dundy County Fair: Rides here include a Tip-Top, Kiddie Boats, Eli Wheel, Bumper Cars, old style Simulator attraction, 1942 Herschell Carousel, Tubs of Fun, and Go Carts. Furnas County Fair: Eli Wheel, Super Slide, Tilt-A-Whirl, and a few other smaller portable style attractions. Gosper County Fair: a 2009 article lists, "kids' Ferris wheel, electric cars, swings, a carousel, a miniature steam train and an octopus ride." Saunders County Fair: Their website lists: "Ferris Wheel, the Casino, the Scrambler, a roller coaster, and the Octopus along with a various selection of kiddie rides." While there a many municipal aquatics facilities, the most worthwhile attraction in the state that's non-profit run/operated is Henry Doorly Zoo and Aquarium. Having received plenty of money from local monster corporation Berkshire-Hathaway, it is one of the nation's best zoos. In addition to the animal exhibits, there's a steam-powered train with a 1.8 mile loop run, skyride, and carousel. For those looking more into the nature side of things, the domed-desert climate is among the world's largest, and also contains the largest nocturnal animal exhibit (Singapore's Night Zoo being exempt from this, as it is an entire separately ticketed zoo). Speaking of trains, there's a Chance CP Huntington in use at Stolley State Park in Grand Island. Of all the state funded projects to cost a lot and aspire for much, few went as far as the Great Platte River Road Archway, often simply called "The Archway." Towering over I-80 in the town of Kearney, it has been rumored to have been built on contract with the Walt Disney Imagineering, though no specific names seem to be tied to the project. It's an audio/visual tour of the history of this part of the great American west that's been done with impressive detail, but most don't know precisely what the gigantic structure above the freeway actually is.